Ceminyak be the most expensive and prestigious resort in Bali. Local hotels are asking for services is very expensive, but also they themselves are more like palaces padishahs. Here, too, take off for the summer or year-round villa on the beach, indulge in carefree shopping in exclusive boutiques and shopping centers. In Seminyak always something going on: model shows, fashion parties, noisy and opening stores spas, and so on. n. The resort you will be able to travel by taxi or rented Moto bike, but accessible from the airport Denpasar here — problem. Firstly, do not walk to Seminyak intercity buses. Secondly, the local slopes are always full of traffic jams in holiday season. So decide to transport issues in advance. A good solution would be to book a transfer from Denpasar airport to Seminyak. You will be able to choose a car that is suitable to the needs of your family or company, it is possible to group and private transfer to Seminyak. 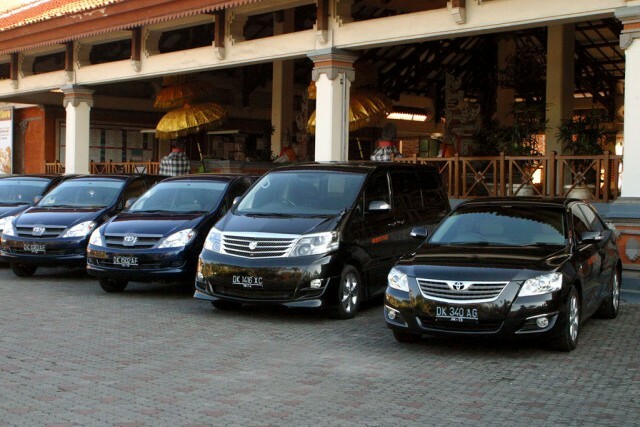 Booked vehicle will pick you up at the airport and comfortably takes to the door of the hotel at Seminyak. If you order and return transfer, the day departure car will take you to the specified time to door of the airport. No hassle with finding a taxi, do not need to afraid of being late for your flight, only pleasant feeling of a comfortable trip to the wonderful island Bali. Transfer booking is a very demanded and necessary service, which is not always provided by tour operators and hotels. If you are looking for how to get from Denpasar Bali Airport to Seminyak, which is located in the country Bali / Indonesia. We can offer you various transfer options for booking. It can be comfortable buses or minibuses for group transfer, as well as business and economy class cars that take you from the airport or railway station to the hotel and back. Transfer fee. In order for the site to calculate the price of transfer from Denpasar Bali Airport to the hotel to Seminyak and back, you need to select the arrival date, number of adults and children, as well as vehicle options. Payment is carried out using a bank card. The cost of an individual taxi Denpasar Bali Airport - Seminyak to the hotel includes: transport operation, fuel, driver, local taxes, delivery to the destination, 1 luggage space per 1 passenger. Seminyak situated at a distance of 10 kilometers from Denpasar Bali Airport.